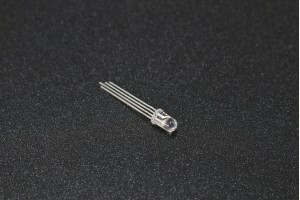 The 74HC595N is a simple 8-bit shift register IC. Simply put, this shift register is a device that allows additional inputs or outputs to be added to a microcontroller by converting data between parallel and serial formats. Your chosen microprocessor is able to communicate with the The 74HC595N using serial information then gathers or outputs information in a parallel (multi-pin) format. Essentially it takes 8 bits from the serial input and then outputs them to 8 pins. This small DIP packaged IC contains an 8-bit, serial-in parallel-out shift register that feeds an 8-bit D-type storage register with parallel 3-state outputs. This is a 60 RPM low-cost single shaft L-Type DC geared motor. It is most suitable for light weight .. It is consist one coin type motor which is a Permanent Magnet coreless DC motor. It vibrates when ..